These two photographs show farm laborers in Seward County, Kansas. 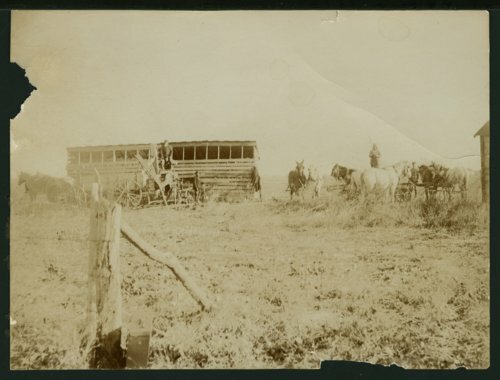 Visible in one of the photographs is a grain bin and horse drawn equipment. The other photograph shows four farmers with shovels and brooms.